Clare joins three taxidermists with a unique take on wildlife by the River Wharfe. In this series Clare Balding is going on wildlife walks around the UK. Today Clare meets taxidermists and life long friends Dave Astley, Mike Gadd and James Dickinson. 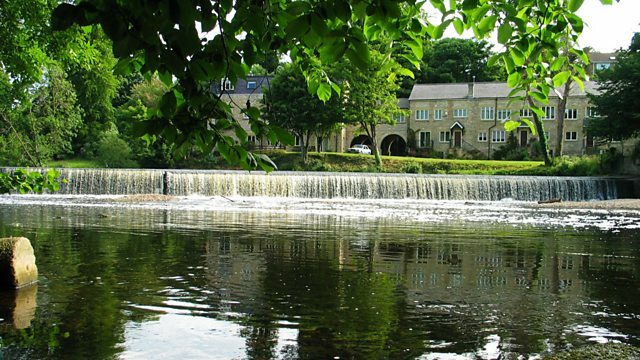 They follow Mike's daily route along the river Wharfe in West Yorkshire to observe the rich variety of local animals, insects and birds. Taxidermists might not be the first people who spring to mind when you think about wildlife-lovers. However, the intimate knowledge of the anatomy and behaviour of birds and animals that a successful taxidermist needs, can only be developed through detailed observation of the natural world. So for a taxidermist a walk can become a valuable research trip. Dave, James and Mike are three of the UK's leading taxidermists. They have worked with exotic animals, repaired museum specimens of extinct creatures and worked with international British Fine artists. They've even created mythical beasts. Over 20 years the trio have worked and walked together. Clare joins them to find out more about their close and unusual friendship. Clare accompanies them along the banks of the river to find out about their techniques and the motivation behind their trade. Is it macabre as many might think? On the walk they share their unique insights into viewing the natural world. They seek out kingfishers, wrens and fritillary butterflies. They share stories from behind the scenes of Britain's thriving, but little known world of taxidermy. They also discuss the profession which they feel is still misunderstood. Listen to a collection of 30 top editions of Ramblings, presented by Clare Balding. Clare is walking with Taxidermists in Boston Spa; Mike Gadd, Dave Astley and James Dickinson, and Mike's dog, Sheba.